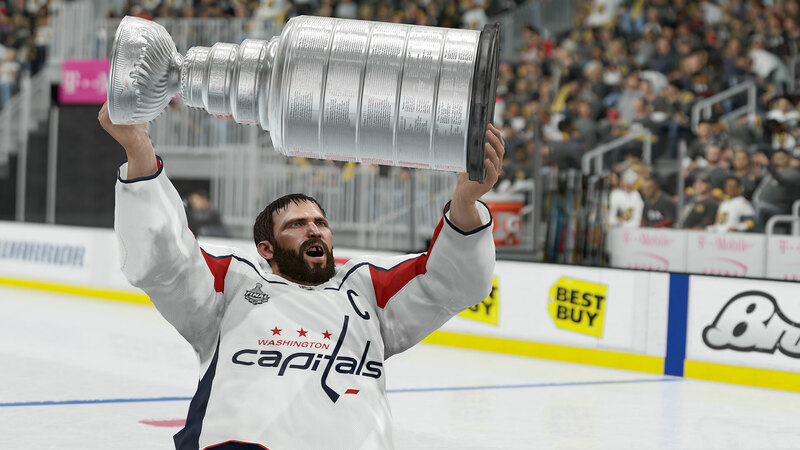 NHL 19 has taken to the ice and might have many skating to glory again in the latest entry in this annual series. It seems that the use of Real Player Motion (RPM) technology and other improvements have really paid off. While the game came out a few days ago, EA Sports aims to keep the momentum going with a new launch trailer. Get a better look at NHL 19 below. The NHL 19 launch trailer shows off a range of game experiences “from the pond, to the pros.” It’s a level of variety that has become standard in sports simulators, but still attempts to inspire excitement. We’re visually bombarded with up-close, aggressive action, featuring strategic slow-motion cuts sprinkled throughout. This NHL 19 video is captioned with ” captured in engine representative of game experience,” which makes the graphical fidelity even more impressive. While trailers always aim to put the game’s best foot forward, there’s an added layer of credibility when it can accomplish that with content directly pulled from the game. Not every company drops a launch trailer when their game comes out, but the marketing practice isn’t new. Often, it serves as both a celebration of the game’s release and a blanket reminder to fans. Mission accomplished, EA. You can pick up NHL 19 now for the PlayStation 4 and Xbox One. Hesitant to enter the rink? Be sure to check out our review here.